Tony Allen was the drummer for Fela Kuti's band(s) for many years. This is a double release of albums from the late seventies. The backing band is Kuti's Africa 70 outfit. Just as on Kuti's recordings they get into a groove using that insistent guitar repetition underpinning the whole thing. 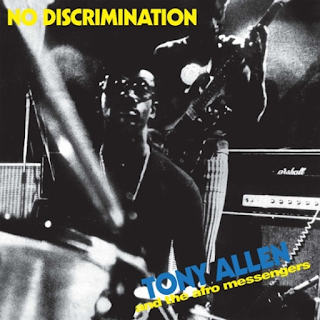 There is plenty of Kuti-style saxophone and, of course, Allen's powerhouse drumming. 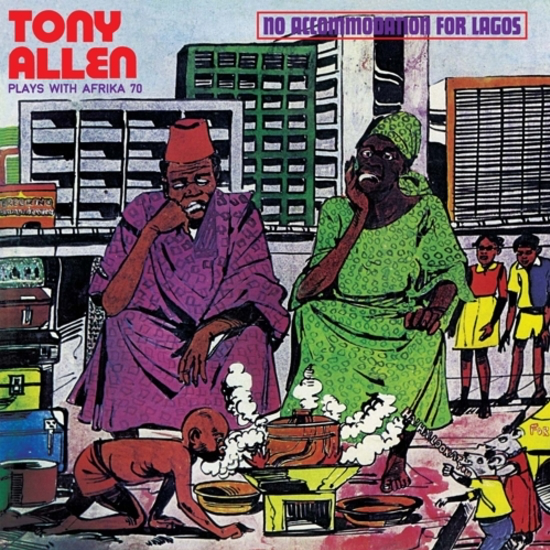 The two tracks on the first album are "No Accommodation For Lagos", a seventeen-minute groove about the housing shortages in Nigeria's capital city and "African Message" which features another infectious Afrobeat rhythm and some killer drumming from Allen. 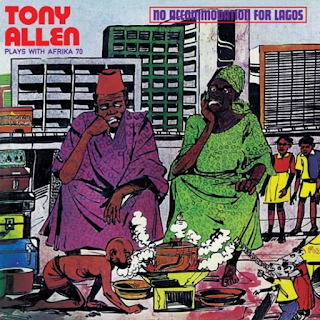 The second album contains four tracks and utilises a slightly more synthesised backing, but still full of funk and punchy Afrobeat horns. It is my favourite of the two albums. "No Discrimination" is a totally addictive number with a wonderful bass line and a laid-back but pugnacious beat. I am sure Talking Heads used this for inspiration for their 1980 "Remain In Light" album. This pre-dated many of the rhythms used in contemporary dance music. Albums like these are comparatively little-known but you would be surprised at just how influential they were. Listen to some of those bass lines, guitar grooves and drum fills. Great stuff. Just listen to that impossibly catchy drum, bass and guitar rhythmic bit in "Road Safety" and try and keep still. The bass on "Ariya", the lilting guitar and the funky, spacey keyboards are just "out there" as they say. The intoxicating, keyboard-y riff, together with the drums on "Love Is A Naural Feeling" is simply breathtaking. This is a seriously good album set. Highly recommended.